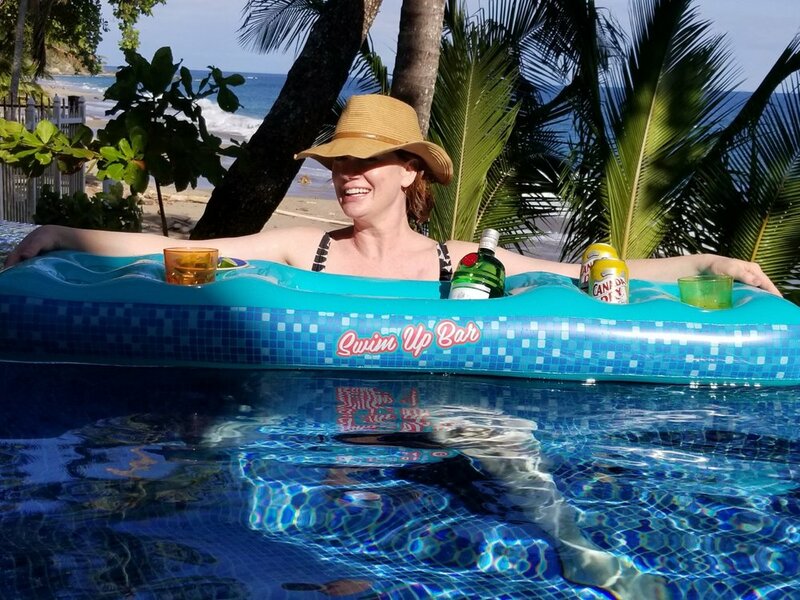 Our mission is to create a wellness travel experience that allows you to escape the rat race and slow down, all in an effort to put focus back on you and your well-being. The combination of fitness, art, adventure, and a little pampering will leave you feeling nothing but recharged! Though the focus is on wellness, it is not a strict detox. "Healthy" treats and vino will be onsite on all of our retreats! Anyone who needs some "me time"
We Can't wait for you to join us on the next one!!! Our Recent Luxury Escapes to Greece, Saba Island, and Costa Rica! Join us in stunning Amorgos, Greece; A true gem in the Aegean sea! You will bask in a week of fitness and rejuvenation at a breath taking 5 star resort. It will be our third retreat at this location, and from our experience, it is nothing short of pure magic. Join us in sunny San Diego! We will be staying at the luxurious Forbes AAA 5 Diamond Park Hyatt Aviara, and have teamed with their in home integrative wellness retreat Veravia, to bring you a 3 night recharge experience like no other! 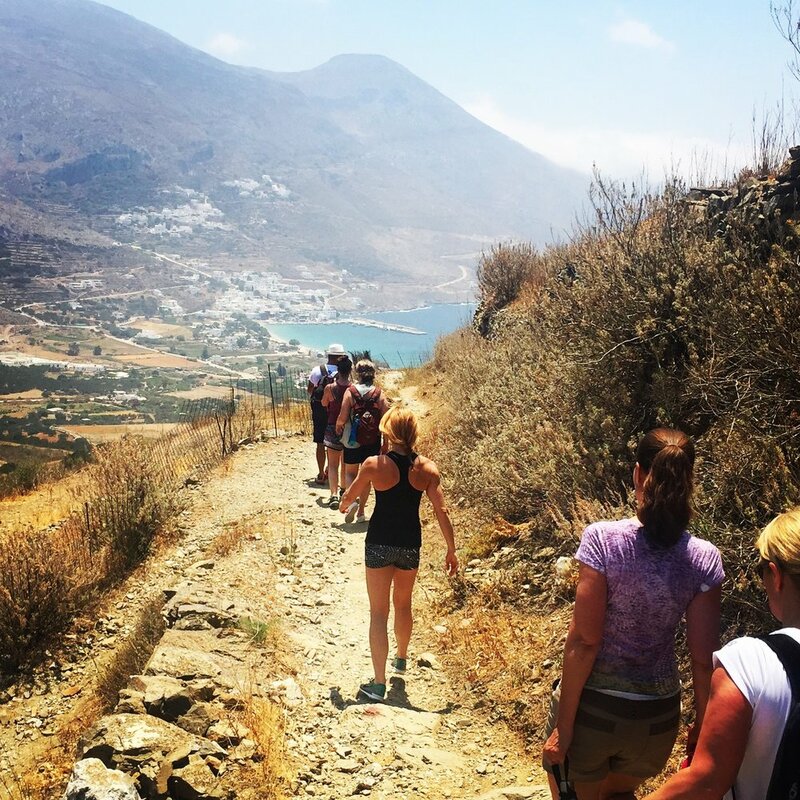 "Sonja and Sasha organized the trip of a lifetime to Greece this summer. I had an incredible time and will always cherish the memories I made in Santorini and Amorgos Island. I haven't been this relaxed in years! The schedule was fun and well balanced, the resorts were beautiful and the owners and staff treated us like family, and the group they assembled was so warm and friendly. I will go on another Recharge Escape in the future, and highly recommend them!" "I knew that after a week of Sonja's workouts, I was pretty much guaranteed to come home feeling stronger and healthier. As soon as we stepped foot onto Amorgos, I realized I was going to leave with so much more than I had anticipated. I couldn't have imagined a more ideal setting for a recharge retreat. It's impossible not to feel energized on the island. The art classes with Sasha reawakened a creativity I had long forgotten. Not only did I come home stronger, I came home more grounded and mindful. I can't wait until next year!" "It was a wonderful, memorable, recharging vacation. I just adored Aegilis! The location. The property. The staff. The food!! I can't wait for the next Recharge Escape!" "So many great moments, it is hard to pick one. I think the beauty of the venue was incredible. I was initially intimidated by the art classes, but was pleasantly surprised by how relaxing and fun they were! All around, this trip was unique and amazing!" Sign up to stay up to date on our luxury escapes, events, travel tips, and discounts! Thank you so much for joining our wonderful community! We're excited to keep you in the loop on our latest escapes and events. Hope to see you on the next adventure!